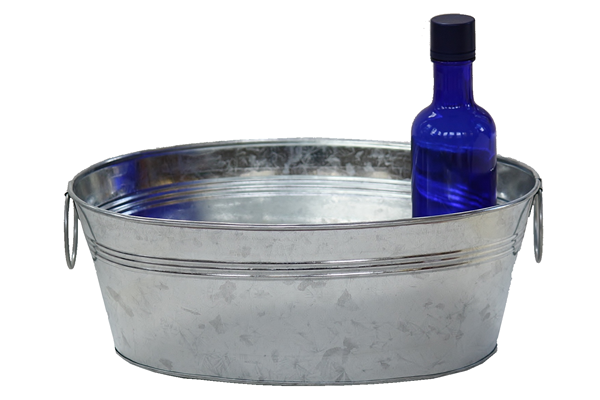 This narrow 1.5 gallon metal tub is the perfect size for planting herbs in. Buy one tub, use a drill, awl, or screwdriver to create drainage holes, stack it on top of a second tub, and add dirt and herbs. These tubs can fit perfectly into your windowsill, or outside on a porch table. You can also place these tubs onto a bookshelf to organize office supplies or other clutter. We also offer a larger tub to best suit your needs.